One of the most exciting features of Magento for many merchants is the ability to run multiple front end websites with a single administration area. For those of you who have managed multiple separate installations of a cart system to power many websites, perhaps selling the same products, then this on its own can make a huge difference in terms of ease of management. Store scopes concept will help you with that. 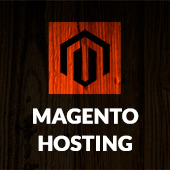 When Magento is installed, a main website, default store, and store view are created. You can create as many additional websites, stores, and store views as you need. Within each website, you can have multiple stores, and within each store, separate views. The term hierarchy refers to the organization of websites, stores, and views in a Magento installation. The best way to think about these views are with the concept of store scopes. 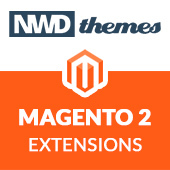 Certain data in Magento is returned differently depending on which level (website, store, etc.) you’re on. This refers to the entire installation. Websites are ‘parents’ of stores. A website consists of one or more stores. Websites can be set up to share customer data, or not to share any data. You can set up as many websites as you need, and each can have a different domain. A single website can have multiple stores – all are managed from the same Admin. Each store can have a different main menu, product selection, and appearance. Stores are ‘children’ of websites. Products and Categories are managed on the store level. A root category is configured for each store view group, allowing multiple stores under the same website to have totally different catalog structures. Store views are usually used to present the store in different languages, although they can be used for other purposes, as well. A store needs one or more store views to be browse-able in the front-end. The catalog structure per store view will always be the same, it simply allows for multiple presentations of the data in the front. 90% of implementations will likely use store views to allow customers to switch between 2 or more languages. Magento, Tips & Tricks magento, store scope, store view, website view. permalink.